SPECIAL DEAL - Usually £199, today just £99 - Save £100! This Magnificent Specimen is huge and would make a splendid gift for anyone, standing around a metre tall in its container, with a spread of up to around 100cms and a large chunky trunk, it is the perfect established specimen to really make an impact. 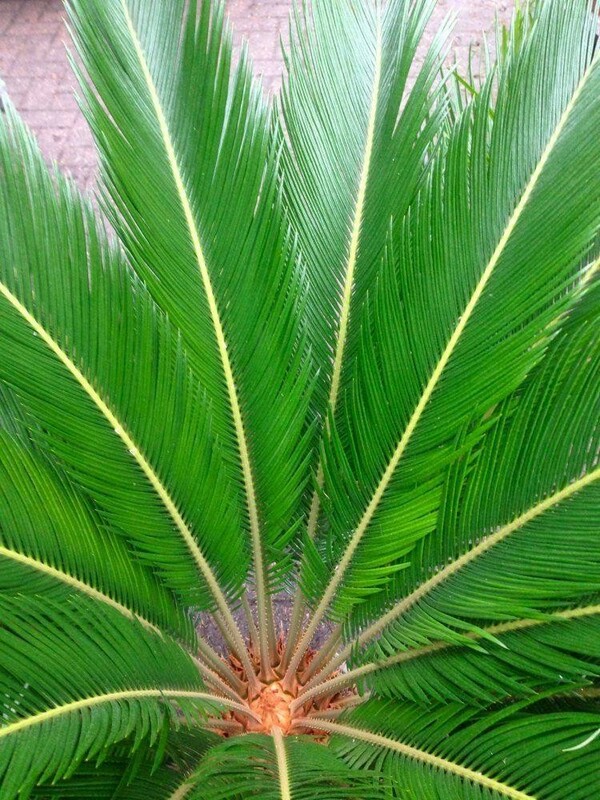 Cycas revoluta is one of the most primitive living plants, they are very unusual and popular ornamentals. The rugged trunk, topped with whorled feathery leaves has lead to the common name ''Sago Palm'' - our customers often refer to them as looking like Pineapples! They are of course not edible!! 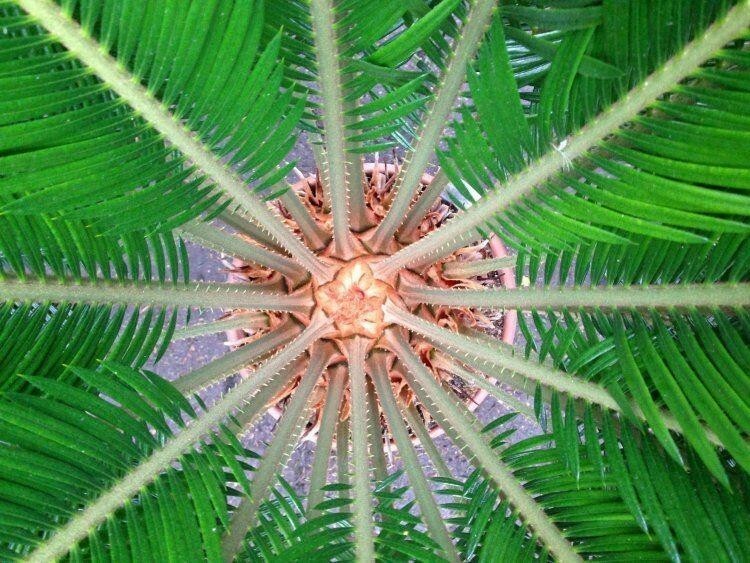 Cycads are also often called ''living fossils'' and they have changed very little in the last 200 million years. 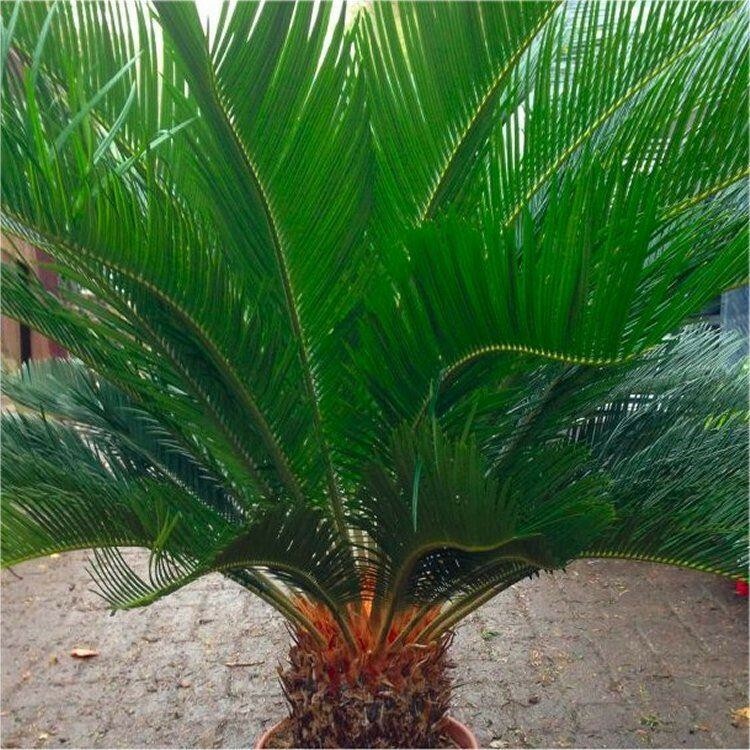 While various species of Cycads can be found throughout the world, the subtropical Cycas revoluta is native to the Far East and has been used as a choice container and landscape plant for centuries. The growth habit of Cycas revoluta displays an upright trunk topped with stiff feather-like leaves growing in a circular pattern. Rather than continuously adding foliage, Sagos produce a periodic flush of new leaves. Eventually, offsets begin to grow at the base of the specimen, and occasionally in the crown. The addition of offsets provides a source of new plants and many possibilities for developing an unique specimen. 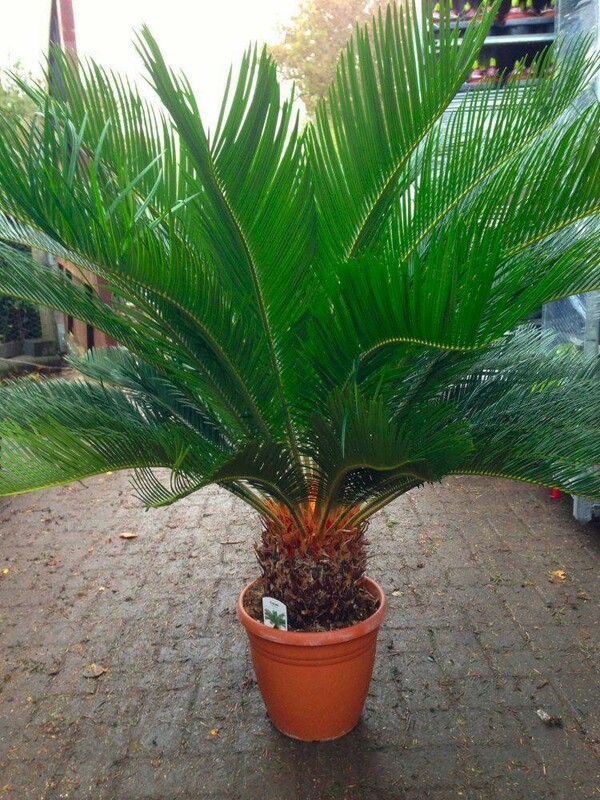 Regardless of age or size, Cycas revoluta is one of the easiest plants to grow, indoors or out, by beginner or expert. This subtropical adapts to a wide range of temperatures from -11 to 42 degrees C, accepts full sun or bright interior light, thrives with attention, and tolerates neglect. In addition, Cycads are extremely long-lived. Specimen Supplied as a large chunky container grown plant at an overall 100cms approx width and height of approx 100cms.